It was a last minute decision to visit Delhi at Ramlila Maidan. Upon checking the latest info on the net at 10pm (just incase, Anna break his fast), immediately decided to leave early morning to catch the first available flight to Delhi from Goa. Yet, we did not buy ticket online just in case it was heavy raining in the morning etc. We thought of buying it at the Airport Counter. We arrived there at 5.30am. Straight went to Go-Air counter but ticket are for Rs.9000. Then we headed to International dep. 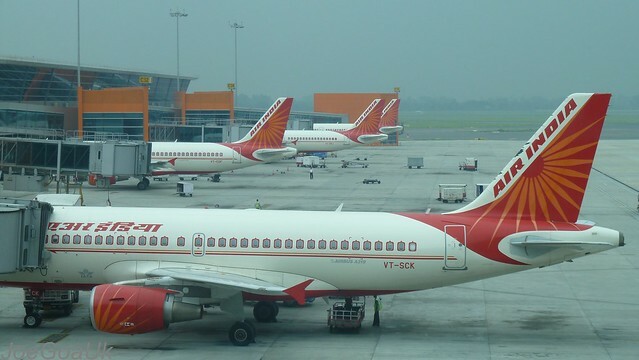 Terminal – Kingfisher says Rs.18,000 where as Air India says Rs.23,000. No prize for guessing which flight or Airline we took to Delhi. 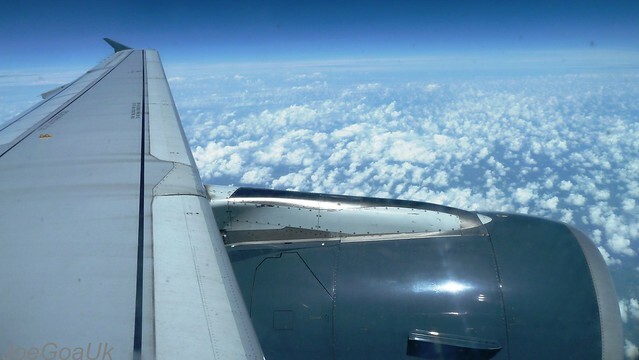 I am sure, you guys learn from this too and that’s the reason I am sharing my experience with you on this air travel episode. So, you know now that the tickets always cost higher at Airport. Well, I haven’t eaten whole day & night nor any breakfast on the day of the journey. I could eat something at the Airport Departure lounge though e.g. Sandwich Rs.100, Coffee Rs.40, Single Samosa Rs.40 etc but then again I thought wait for another 30 minutes and I might get it free onboard flight to Bombay. Well, 45 minutes later, I regretted not having anything at the lounge for there was nothing coming free onboard, not even water. Next, as we had about an hour to spare in the transit, we went to a cafe (Airport Lounge). 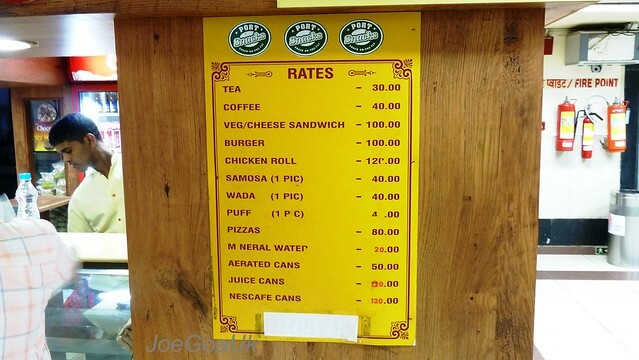 There I saw some big fat samosas each priced at Rs.60. ‘Sorry, two pieces per plate, we do not give single piece (samosa)’ said he. I said forget about the samosa ‘just give me coffee’. I had coffee and the bill was Rs.90. 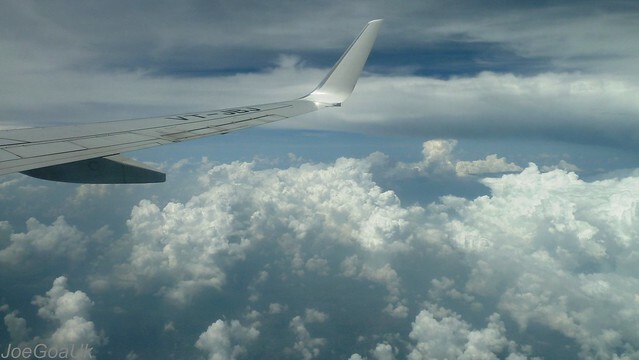 Then, it was time to board Delhi flight which would take about 2 hours to complete the journey. Onboard, I am starving. Nothing served complimentary. One has to pay even for water. Rs.20 per smaller bottle. ‘How much for the meal tray?’ She said ‘Rs.220’. Can I have one please! 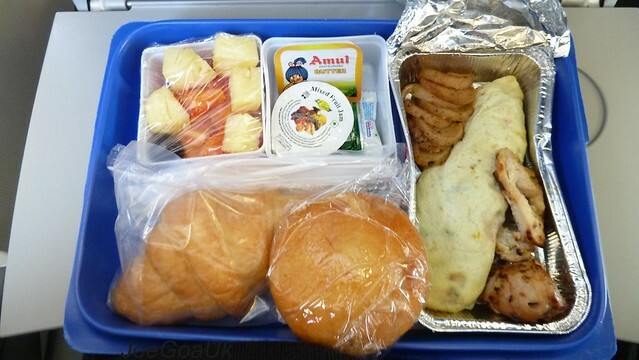 There came a tray (a typical meal tray that any airlines serve, see pic). It had hot but dry omelette, 2/3 pieces of chicken tika, some potato stuff, a square bowl of cut fruit pieces, a croissant, a muffin, Jam and butter- see pic. No where I could see a Ketchup sachet to go with the hot-dry omelette. Nor I could see any packed cup of water or juice. I had to buy a water bottle for Rs.20 500ml. If I had to serve my guests the same meal and at the same time saving money on it, I would take off Jam and butter and replace with water - Water must always go with the meals. So, next time you order a meal, make sure to see there is water if not buy one. Don't wait until something get chocked / stuck to your throat and then press 'flight attendant' button for water etc.. In Delhi, like a hungry horse, I ate one full Tandoori (my favourite) and one full Biryani & one full sour or 'sur' or toddy flavoured kingfisher beer (never taste the same as Goa KF). 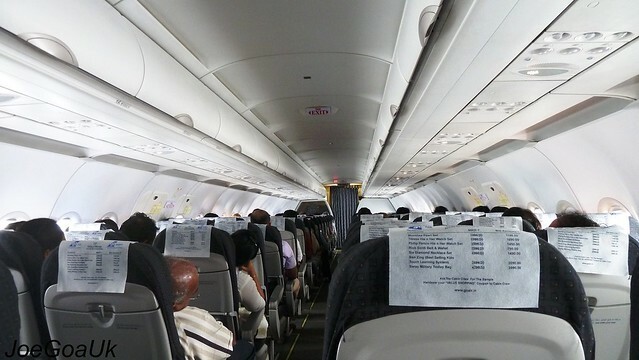 On return journey, the tickets again cost us Rs.9000 each on Jet, booked online via an agent. That was the cheapest to travel on the same day. And we really did not expect the same treatment on board Jet as Go did. 9W 2205 / G8 180. There was nothing complimentary on offer on Jet too. I asked, can I have a bottle of water please? 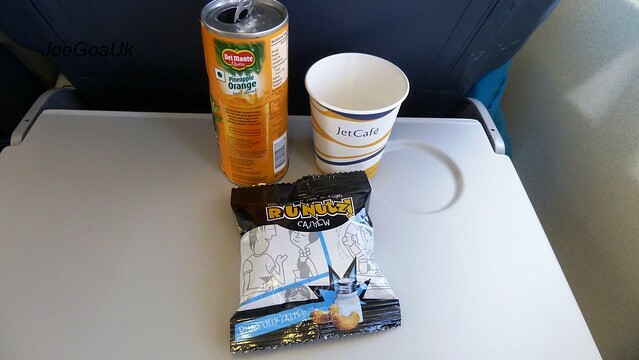 I wonder if there is any domestic airline which continue offering complimentary stuff to it’s pax. There was a time where even alcoholic drinks were served onboard domestic flights even on shortest routes like Goa-Bombay etc.